At twenty-one, Lea Dale is well-adjusted and happy, despite the facial scars she's carried since infancy. She has friends in the highest of places, possesses colorful vision (since for some reason she can see auras around folks), and her family and friends adore her. Corrective surgery is a possibility, but not one Lea has felt the need to consider…until wealthy investor Laren Meadows walks into her life and turns it upside down. Suddenly, Lea is painfully conscious of her lack of perfection, given Laren's flawless looks and ultra-charming personality. What a blessing that he's attracted to her despite her scars—and even her special angel seems to approve of the match. Then a secret from Laren's past threatens to destroy any hope of a future for the two of them. Now there's only one way for Lea to know if Laren's love is true, but taking that action could mark the end of their relationship. Can love survive such a tangled mess of physical and emotional scars? The scars on my face have never bothered me. I’ve always known—always—how fortunate I am to have made it through the fire that could have taken my life as an infant. Sure, people can be cruel…sometimes intentionally, but most often not. They just don’t know how to react when they see a face like mine. The right side didn’t get touched by the flames, but the left side is…well, it’s pretty bad. But I have people who love me and see beyond my disfigurement to who I am inside. That’s a pretty big blessing, and I am endlessly grateful. Doctors refused to try any kind of corrective procedures until after my eighteenth birthday. That was three years ago, and still I haven’t started the grueling series of surgeries that might improve my appearance. Needless to say, it isn’t going to be a fun experience, but that’s not why I haven’t taken that first step, despite my dad’s constant reminders that I can start any time. I know it’s probably hard for most people to believe, but I simply haven’t felt the need. I woke up this morning the same Lea Dale I’ve been all my life...a scarred but completely happy girl who talks to angels and tries to find some good in everybody. My besties, Eva Kate and Savannah, say I’m a bit of a Pollyanna, but that’s okay. I like being who I am. Or at least, I did until now. Probably should have known things were going to get sticky when my old friend Solomon showed up just as I finished getting ready for the day and headed for my bedroom door. I was already running a little late, and had a feeling Auntie Shay—that’s my mom’s beautiful sister, who once was a famous actress—would be wondering where I was. I spun away from the bathroom mirror after doing what I could to make myself presentable, and rounded the corner into my bedroom, rushing to grab my tote before heading off to work. For me, that means walking down a little hill just east of my parent’s house and showing up at Looking Glass Ranch, my family’s therapeutic campground for scarred and disfigured teens. It’s been going strong since I was a kid, and I never questioned whether I’d be a part of its operation as an adult—I always knew it was what I wanted to do. But, family-operated or not, I’m expected to be there every day, and on time, just like everyone else. Most of the time, I am, but I’d been up really late the night before, getting my Christmas list together. I’m a real stickler for lists and plans and schedules. Orderliness is important to me. So I’d overslept a little and the crystal clock on a wall shelf in my bathroom said I should’ve been down the hill five minutes ago. I jammed around the corner at full blast and nearly barreled smack into Solomon, who reached out to steady me without saying a word. “Solomon!” I shrieked and rushed over for a hug. It’d been at least a year since his last visit, and it was nice to see that he still looked exactly the same. He wore a long white robe, sashed at the waist with a shiny belt that gleamed like real gold. Maybe it is gold, I don’t know. His sandals match the belt, but then, so do his eyes, and his hair, which hangs past his shoulders and flows freely around his face. He’s beautiful. Oh…did I mention that Solomon’s an angel? He’s the first of God’s winged messengers I ever met, and the only one who seems to be a permanent fixture in my life. It’s not like he’s an everyday part of things, but he shows up now and then, when there’s a reason. I love him with a very special, holy kind of love. He’s never said it, but I’m pretty sure Solomon loves me, too. He smiled again, and my heart jumped with pure joy, which I deliberately put a lid on for the moment. I wanted to understand Solomon’s message. His being here meant something big was in the air. “New and better.” I murmured the repetition of his words, while my heart hammered like crazy. Why new and better? The status quo was working just fine for me. “Grrrr!” I stood there in the middle of the floor, watching the second hand make another half turn around the face of my clock. Then I blew out my breath, rolled my eyes, and headed downstairs, taking the steps two at a time. Solomon, or no Solomon, Auntie Shay was going to read me the riot act. She did, too, but she was in the middle of something pressing, so it wasn’t a lengthy lecture—thank God! Within a few minutes of arriving at the Looking Glass, I was deep into documenting a new shipment of supplies. We get an astounding number of donations from wonderful people who want to help us help others. I hadn’t thought it would be possible to get my mind off Solomon’s rather cryptic message, but we were crazy busy all morning, and somehow I forgot all about it in the rush of things. Until just after one o’clock. I had swallowed half a sandwich almost whole and poured a cup of soup down my throat for good measure, all in the space of about ten minutes. Then I hurried into the restroom, where I brushed my teeth and pulled a comb through my hair before heading off to cover the front desk for Molly, our receptionist, during her lunch hour. She was already waiting by the door, purse in hand. The moment she saw me, she waved and slipped outside. Most of the time her husband takes her to lunch in Castle Creek. They’re still newlyweds—another successful coupling for my “Aunt” Destiny’s dating agency, Solomon’s Gate. Molly and her hubby spend every possible moment together. Grinning at her eagerness to be out the door and by his side, I slid behind her desk and glanced at the appointment calendar to see if we were expecting anyone during the time I’d be up front. We were. I didn’t recognize the name, but according to Molly's notes, my dad was seeing someone named Laren Meadows at one fifteen. I glanced at the clock on the opposite wall. Mr. Meadows had exactly eleven minutes remaining before he’d be officially late. Um…not that I had any business judging him for that, today of all days. I rested my head on the back of Molly’s chair and closed my eyes. The non-stop blur of the morning, after my late night, was starting to make itself felt. Did I doze off, or just take a little mental vacation? Heaven only knows, but either way, I nearly flew right out of my skin when Dad’s visitor spoke softly into the silence. I sat up so fast I had to brace my hand on the desk to keep from catapulting right over the top and into a broad chest that strained against the soft fabric of a dark blue button-up shirt. Mortified to have been caught off guard, I moved my gaze slowly upward, past a neatly knotted ivory tone-on-tone tie and over the slight cleft in a strong chin. I noted a pair of full lips curved into an appealing grin, swallowed hard, and took in a single, impossibly deep dimple and a straight, aquiline nose. By the time my searching gaze reached a pair of eyes bluer than any sky I’d ever seen in my admittedly short life, I was already head over heels in love with Laren Meadows. My hand jerked upward to cover my left cheek. To hide the scars. Because the man standing in front of me personified “perfect,” and for the first time in my life, I felt my own lack of perfection. Solomon had said my life would change, starting today, and every nerve in my body told me he’d been right, as always. But he’d sure messed up part of his message. Because this was not a blessing. It was the worst thing that could possibly happen to me. Daddy’s little princess of propriety, who insisted everything be done in an orderly fashion. The girl who had a place for everything, and kept everything in its place…who’d always followed every rule, never caused problems, never stepped outside her own perfectly drawn lines. That girl had fallen heart over head over heels in love. At first sight. My heart thudded like a heavy stone against my rib cage. I opened my mouth, desperate to reclaim some semblance of normality and extend a proper greeting. But then I realized that oh-so-perfect blue gaze had gone wide and was fixed on my face. My left cheek, to be precise. I spread my fingers, desperately wishing for bigger hands, and trying hard not to burst into tears. “Oh.” That’s all I could manage in response to his greeting. I’ve always loved deep, distinctly individual male voices. Think Sean Connery and James Earl Jones. Or, to bring the idea into my own generation, think Jensen Ackles. Question 1: 1. Many stories tell us the impact of being an “ugly duckling” while growing up. What difficulties might a beautiful child face? Question 2: 2. Lea’s desire to change was born from her wish to be an equal partner to Laren. Is there an area in your life where you feel ‘less’ than or unequal to your partner? Question 3: 3. Have you ever considered how your life might change if you were disfigured in an accident? How might it impact your marriage? Question 4: 4. 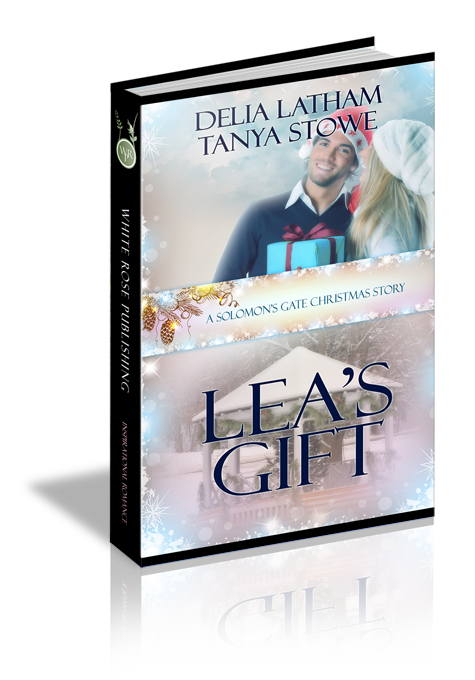 Lea fears Laren’s love may come from a desire to atone for his past. What is the truth? Question 5: 5. An old say goes like this: “Guilt is God’s tool. Shame is Satan’s.” What does that mean to you?